What’s there to say about this previously unreleased album by James Brown’s backing band, except that it’s very surprising. Surprising on many levels! Now-Again Records has struck gold by unearthing These Are The J.B.’s, the predecessor to the J.B.’s first album, Food for Thought (People Records, PE 5601, 1972). Actually, to be precise, the album was recorded in 1971 for King Records just before the band’s catalogue got bought out by Polydor. Only a few test pressing were produced, and they were presumed to have been lost. Supervised by Eothen “Egon” Alapatt and Harry Weinger, this first commercial issue of the album includes a booklet with liner notes by James Brown historian Alan Leeds and unpublished photos of the band members. The new front cover design is very similar to Food for Thought, with large black and white capital letters on a red background. All of the songs on this album were recorded between 1970 and 1971, just after the “Great Split” marking the end of the James Brown Orchestra and the departure of most of his musicians. James Brown met the Pacemakers─a small group from Cincinnati, Ohio, who were playing as a backing band in the King Records’ studios─in the late ‘60s via A&R men Charles Spurling and Henry Glover, who produced artists such as Bill Doggett, Hank Ballard, Arthur Prysock and Little Willie John. The Pacemakers were formed in 1968 by William “Bootsy” Collins, and also featured Phelps “Catfish” Collins (guitar), Frankie “Kash” Waddy (drums), and Philippe Wynne (later of The Spinners fame). After leaving nearly his entire band behind, the Godfather felt a new energy in the Collins brothers, something fresh that soon transformed his whole sound from the raw funk of Cold Sweat to the explosive vivacity found on These are the J.B.’s. After naming his new instrumental and backing band the New Breed Band, Brown decided to turn it into something more personal and said to the Collins brothers: “We’re gonna rehearse, we’re gonna get the show down, you’re gonna be the band and you’re gonna be called The J.B.’s.” This album represents that transitional moment, the cornerstone of the J.B.’s sound at the turn of the ‘70s, a dynamic and fluid sound that was emphasized and perpetuated when trombonist Fred Wesley came back to lead the band in 1971. 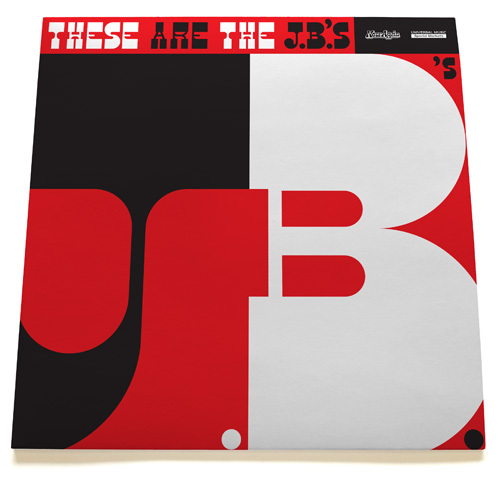 Musically, this album shows how connected the J.B.’s are with the era and the emergence of a new rock and psychedelic-flavored funk. In the title track “These Are the J.B.’s,” the hypnotic bass of Bootsy Collins, the funk strum played on guitar, the force of the horn section, and the funky drums reinforced by percussion marks the beginning of a more fluent, less syncopated, but still extremely tight sound. The second track, “I’ll Ze,” is an instrumental take that reuses the same groove as that of Marva Whitney’s “It’s My Thing.” By reconsidering previous grooves, the J.B.’s exploited new possibilities and at the same time opened up new perspectives on funk music. And that’s exactly what the J.B.’s are doing when they play “The Grunt,” a skillful reinterpretation of the Isley Brothers’ “Keep on Doin’” that, in a reference to their peers, also breaks definitively from the previous beat to explore a louder instrumentation. Finally, the extended “When You Feel It, Grunt If You Can” is the most surprising track of the album, featuring various covers blended together and played sometimes very loud, sometimes very fast. Kool and the Gang’s “Let the Music Take Your Mind,” Jimi Hendrix’s “Who Knows,” and the Meters’ “Chicken Strut” are among the most directly recognizable excerpts. It’s a kind of work-in-progress sound that the J.B.’s have offered us, since it’s very rare to hear covers on their albums. 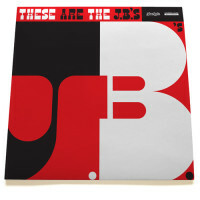 For listeners this becomes a powerful tool, allowing us to experience the J.B.’s very specific groove and envision the way they were connected to their time, yet already pushing the groove toward another dimension: the heavy rhythmic and dynamic construction of “the One.” So, as James Brown would say, “get on up!” These Are The J.B.’s is a must have for funk aficionados, if you can still score one of the limited edition copies released on Black Friday.